Horst has the expertise, attention to detail, and client-focused approach to deliver exceptional environments—whether non-profit or for profit; new construction or renovations. 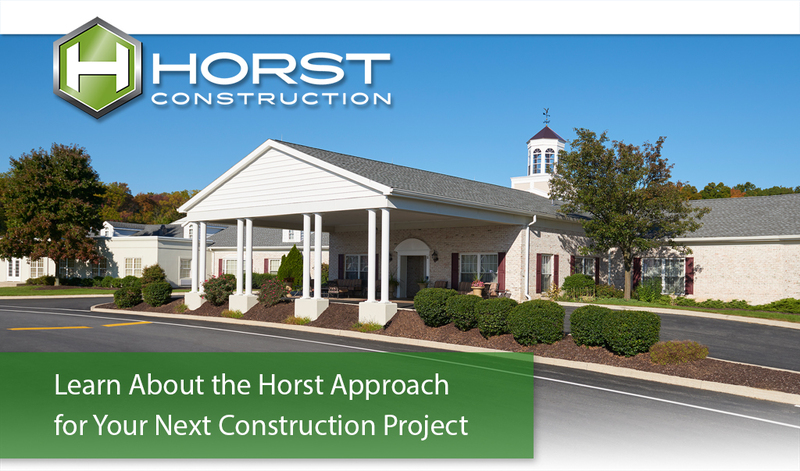 Horst Construction not only specializes in senior living environments, but also offers valuable services that allow us to become an integral part of your facilities team—whether expanding, adapting to new requirements, or addressing emergency repairs. Horst understands what it takes to work in a fully functional healthcare facility and we employ a staff of qualified field employees who prioritize the safety of residents and staff. To learn more about how Horst’s Special Services Group can partner with you on your next senior living facility upgrade, renovation, or expansion project, stop by Booth #34 and meet Ryan Null, Director of Special Construction Services. The Right Team. Realistic Schedules. A Safe Work Environment. Ongoing Communications.